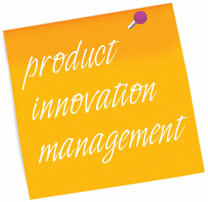 Product Innovator provides training courses for Product Management, Commercialisation, Entrepreneurship and Innovation. Participants can enrol in scheduled courses or these courses can be conducted on-site at your company. These training programmes can also be customised to suit your organisation’s individual requirements. “The main reason why I attended the product management course was to re-fresh my knowledge about product management. It is a while (3-4 years) since I worked in this area and we are planning to productize some ideas in the near future. “The Product Innovator course was a useful introduction to the role of Product Manager and the tools obtained during the course will enable new and existing Product Managers to better position their products within the marketplace”. “Product Innovator’s Product Management course is both an excellent refresher for the experienced Product Manager and a useful overview of Product Management concepts to those new to the discipline”. Richard Kingston, Enterprise Consultant,City-Learning Ltd.
“I found the Product Management course excellent. The content is comprehensive, logical, very informative and well presented. I picked up some very good insights and new ideas and ways of thinking about product strategy, pricing and positioning in particular. “Immediately after the course, using just one tip from the trainer, I managed to save about 10 – 15 days on my timescales”. “The Product Innovator Product Mangement course was an excellent and detailed analysis of the true role of a product Manager within a modern software house. In particular the common sense and pragmatic approach which avoided getting too bogged down into methodologies was very useful and refreshing”. “I highly recommend this course to anyone currently involved in product management or someone new to it. It is very well presented, delivers a clear understanding of the complete process, and uses practical exercises and interactive sessions to demonstrate each phase. “The content of the course is excellent, and the way is driven is first class. All in one its a course that delivers experience and tools which can be used in a day to day basis to create and manage our products effectively. John Doyle, Product Marketing Manager, ChangingWorlds Ltd.
“I can’t recommend the Product Innovator – Product Management course highly enough – it really got us thinking about the structure of our company going forward, and the processes we should be getting formalized. The product definition & positioning exercises will be of great interest to startup companies with brand new products and established companies launching new products”. Fionnuala Callan, S3 Group Ltd.
“I would recommend this course, particularly for those companies who want to better manage their products and pricing. This course gives a good introduction to the area of Product Management and the lecturer showed good knowledge and experience”. “Very informative and interactive 2 days – thanks again for a very useful course”.